From the cat walk balcony at Capitale, a bar mitzvah reception is bathed in blue lighting. 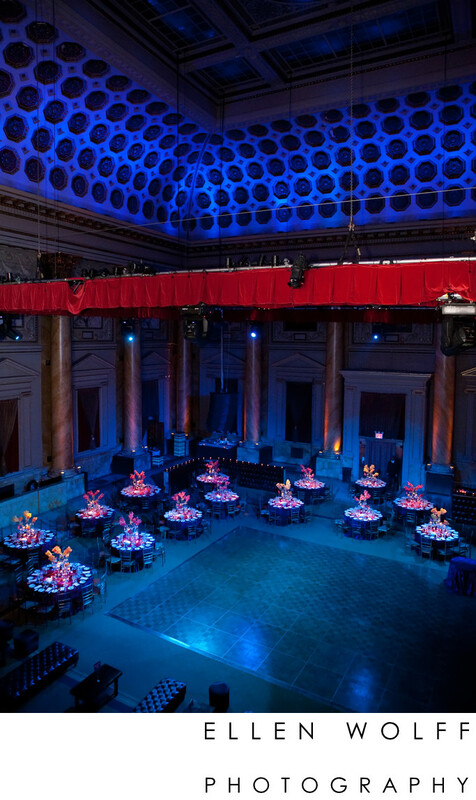 Capitale is one of the great event spaces in New York City. Here you see the grand ballroom set up for a Bar Mitzvah. From this vantage point you can really get to see how the uplighting adds so much ambiance to the space. Location: 130 Bowery, New York NY 10013. Keywords: capitale nyc event space (3).